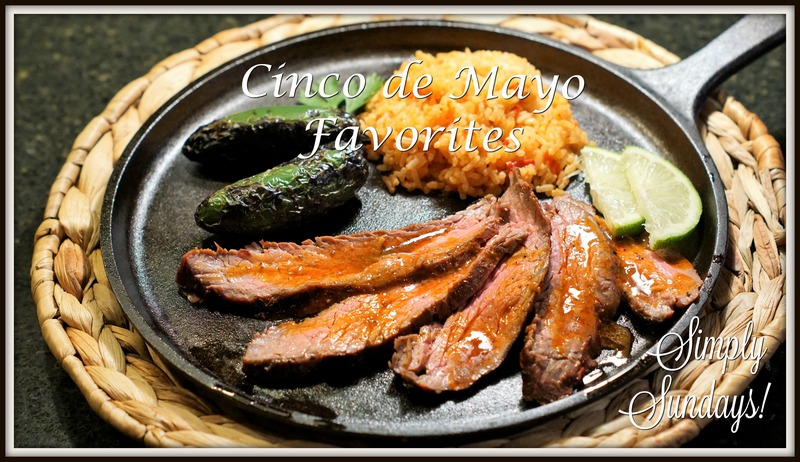 Cinco De Mayo Favorites – Simply Sundays! Here’s what Simply Sundays is cooking up for Cinco De Mayo! Start with a tasty Garden Fresh Salsa, serve up flavorful Carne Asade with Chili-Lime Corn on the Cob and celebrate with our favorite Summer Sangria! A well rounded way to celebrate this Cinco de Mayo! I love your site. Recently came back from Puerta Vallarta and love the food from the locals, got lost on a city bus trip around 8:00pm got off and ate the street food. Simple, clean and amazing. The people were so gracious and happy to please and to make sure you enjoyed the taste. Love Mexico!!!! We’ve never been, but it sounds like fun! Glad you like our site!